Even though distilled water isn’t usually meant for drinking purposes, I think it still makes perfect sense to cover it on the website. Many people, especially first time buyers, don’t quite know how to go about storing such water and how long they can keep it around before discarding. Because of that, I prepared this article, in which we go through storage, shelf life, and going bad of distilled water. 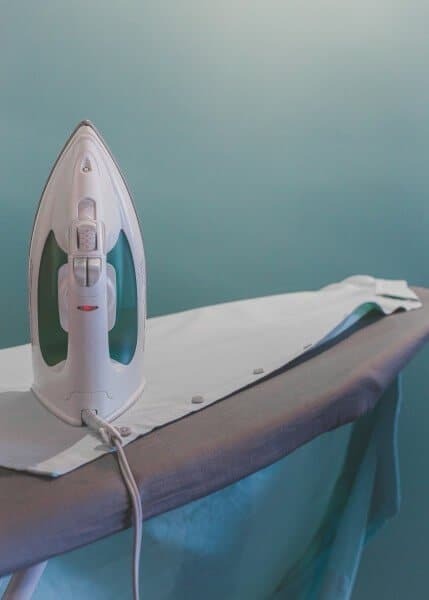 Please note that the advice in this article is meant for anyone using distilled water for household appliances and motor industry related work (e.g., refilling electrolytes in a battery). It’s by no means exhaustive for medical purposes. And in case you wondered if drinking distilled water is safe, the long story short is drinking some won’t do you any harm, but switching to drinking only distilled water is not recommended and probably a bad idea ([DWC-SA]). Having cleared that up, let’s get started. Can Distilled Water Go Bad? How To Tell If Distilled Water Is Bad? Technically speaking, it’s difficult to tell what a “spoiled” or “bad” distilled water exactly is. If it’s water that has some impurities, then sure, just open the container and leave it unsealed for a few hours. Chances some dust, bacteria, or anything else will get into the container are very high. And no, you won’t be able to tell that it has any possible contaminants just by looking at it. Fortunately enough, if you’re using the distilled water, or any other type of purified water, for your home appliances, that liquid doesn’t have to be 100% to do its job. That water is still much “cleaner” than tap or bottled water, and good enough for your purposes. Once you open the container and store it for a very long time (think months), chances are green algae will start to grow in there. Chances of that happening are much higher if your storage practices aren’t that great (more on that later). If the algae got to the point that there’s visible sediment in the bottle, it’s time to discard it and get a new one. Same thing if the water develops an off smell. But to check that, please pour some of the distilled water in a glass and only then take a sniff. This way you don’t smell the container, but only the water. How Long Does Distilled Water Last? In short, it depends. As long as the container or jug is unopened, it should easily last years. If it comes with an expiration date on the label, that’s a decent place to start. Usually, it’s between 3 to 5 years from the production date. Of course, a couple of months past that date the water should be still perfectly fine. How long does opened distilled water last, you ask? Depends on how you plan to use it. If for any reason you need it for drinking purposes, I’d go about it as if it was bottled water. That means you probably should finish the bottle within a couple of days, a week tops. But if you’re using the distilled water for any home or garage appliances, it should easily last 9-12 months after opening in good shape. And it shouldn’t come as a surprise that proper storage methods help with keeping the distilled water pure. How To Store Distilled Water? Distilled water is best stored in glass ([DWC-ST]), so if you’re using your own container, use a glass one. Plastic containers often leach a trace amount of chemicals to the water over time, and as you might imagine, that’s less than optimal. An excellent alternative to “normal” plastic ones are high-density polyethylene (HDPE) tanks and containers ([DWC-SL]), and many companies selling distilled water use those. The longer you plan on storing the distilled water, the more important the container is. So if you’re thinking about a long-term solution, go with glass of HDPE containers. A “normal” plastic bottle should be alright for short term storage. When it comes to storing distilled water, there are a few practices you should follow. First, it’s essential to always keep the container sealed after opening, for obvious reasons. Second, keep the water in a dark place to prevent algae growth ([DWC-ST]). Third, avoid warm areas, as it’s easier for bacteria to grow in warmer conditions. That’s about it, really. Unopened distilled waters last usually between 3 to 5 years. Check the label for details. If you plan on drinking the water, finish it within 5 to 7 days. If it’s going to be used in various appliances, it should last at least a year if stored properly. Store distilled water in glass or HDPE containers for best results. Plastic tends to leach a tiny amount of chemicals into the water. Always keep the container sealed, away from light, and in a relatively cool temperature. [DWC-ST] Distilled Water Company: How To Store Your Distilled Water Correctly? [DWC-SL] Distilled Water Company: How Long Does Distilled Water Last? [DWC-SA] Distilled Water Company: Is Distilled Water Safe To Drink? “You’re not getting enough probiotics” is what almost every site health-related site tells you at some point. And kombucha often comes up as a convenient solution. So you buy a bottle or two to give it a shot, and maybe you even make it a regular thing. But sooner or later you find yourself with old kombucha or notice there’s a gelly floating thing in the bottle, and you’re not quite sure what to do. Telling whether kombucha is bad isn’t super straightforward, and not all manufacturers specify that sort of information on the labels or even their websites. The shelf life also often shows up at a date on the label without any further context. And that’s too bad because many people throw out perfectly good kombucha because of that lack of info. This article is here to cover that gap. In it, we talk about possible signs of spoilage of kombucha, its storage and shelf life. If you’re a kombucha drinker who lives and dies by the “best-by” date, this article is definitely for you. Continue reading. Can Kombucha Go Bad? How To Tell If Kombucha Is Bad? Telling if kombucha is off is a bit tricky. It’s a fermented product and therefore very acidic. That, in short, means any microorganism that isn’t already there has a hard time living and growing in such an environment. Because of that, the beverage lasts a long time and doesn’t spoil easily. However, in some rare cases, things may go south. The first and most obvious sign of spoilage is the presence of mold. It’s super rare and happens mostly with homemade kombucha or an old one that developed its own baby SCOBY (more on that below) on top, and mold started growing on it. If there’s mold, throw it out. The second option is that the kombucha turns vinegary in taste ([NE]) and you don’t find it good enough to drink anymore. If that’s the case, instead of throwing it out, you can use it as a vinegar substitute. This is a natural result of fermentation and happens to kombucha that’s stored for months in the fridge or opened at room temperature for a couple of weeks or so. If your kombucha starts to smell off after a few days of opening, and you tend to drink directly from the bottle, switch to using glasses. There’s most likely nothing wrong with the liquid, but the bacteria from your mouth have contaminated the neck of the bottle, and that’s what’s causing the smell. If you’re always using a glass and your kombucha stinks, discard it. Fizz or lack of it. Kombucha is a living thing, and the presence or absence of fizz depends on the batch, storage conditions and how long it’s stored. Even if you always buy the same brand and store it the same way, the effervescence will vary ([GTS][NE]). Floaties in the bottle. The gel-like thing or a bunch of strands forming in the liquid is a baby SCOBY (Symbiotic Colony Of Bacteria and Yeast). 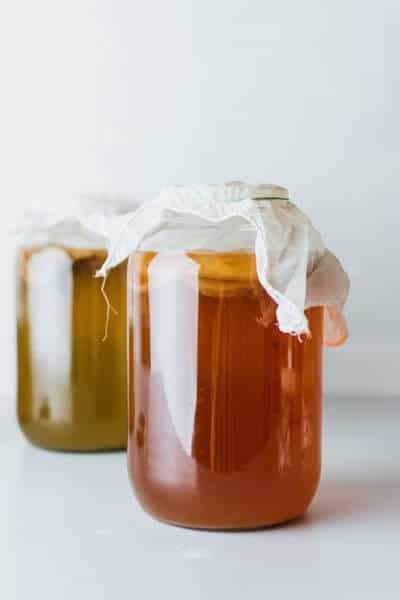 A scoby is used in the process of making kombucha, and it can form on its own over time even if it was filtered out before bottling. Think of it like the mother forming in vinegar. It’s safe to consume it, but if you find it gross, just filter it out ([CK][GTS][NE]). Sediment. Some sediment on the bottom is nothing unusual. If you want to mix it up, tilt the bottle gently left and right. Do not shake it, or it might explode like champagne ([GTS][RK][NE]). Now that you know all about what is and what isn’t spoiled kombucha, let’s talk about its shelf life. How Long Does Kombucha Last? The answer to this question depends on whom do you ask, and usually varies between a couple of months, to possibly a year ([CK]). The industry standard seems to be about 6 months of bottling ([CK][RK]). And if you want to keep things super simple, you can just discard the kombucha that’s passed the date on the label. But as I already mentioned in the intro, that would be wasteful in my opinion. As you already know, kombucha doesn’t readily go bad, so it’s not like it will magically go off after a week or two after the date on the label. That date is merely an estimate of how long the quality should be good enough for drinking. And since the fermentation process is going on all the time, like in unpasteurized sauerkraut, the change is slow and gradual. So it’s not like one day it will be perfectly fine and turn awful the next morning. 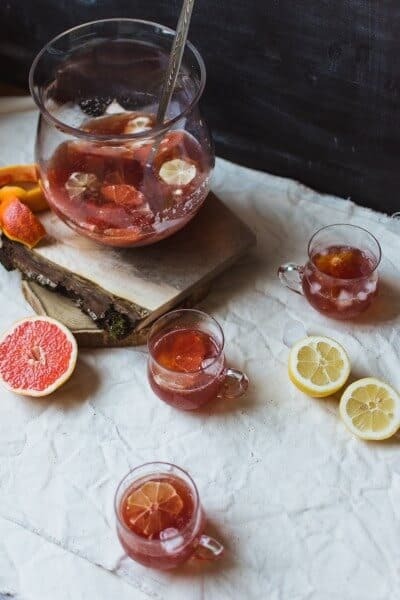 But at a certain point, you will notice that the kombucha no longer hits the spot, and that’s when it’s time to either discard it or use it for other purposes ([NE]). And that obviously depends on your personal preferences, so there are no hard and fast rules if that happens near the best-by date, or a couple of months later. And it varies between batches, so even if you’re loyal to a single brand, this period will vary. As long as the kombucha doesn’t show any signs of spoilage covered earlier, drink a tiny amount and decide if you find it good enough or not. Chances are you will enjoy it for at least weeks beyond the “expiration” date. And speaking of shelf life, the way you store this beverage also affects how long you can keep it around. When it comes to an unopened bottle, the recommended storage method varies between producers. Some say you can keep it at room temperature ([CK]), while other manufacturers show a strong preference for refrigeration ([GTS][RK][NE]). When in doubt, keep in in the fridge. Of course, if you leave it out for a day or two, it won’t turn vinegary right away, but it definitely won’t keep good quality for as long as if it’d sit in the fridge all the time. Once you open the bottle, its place is in the refrigerator. The cold temperature keeps the fermentation in check, so it doesn’t turn too acidic too fast. So if you like your kombucha on the less acidic side, make sure it’s refrigerated at all times, the same way you’d care for dairy products like kefir or yogurt. When it comes to how to store the bottles, make sure you always keep them upright and not on their side ([GTS]). Otherwise, you might end up needing to wash your fridge after some of the liquid has escaped the bottle. Kombucha doesn’t go off quickly, but if there’s mold, it tastes like vinegar or smells off, it’s time for it to go. The gel-like substance forming in the bottle is safe for consumption and doesn’t make the liquid bad or spoiled. If you find it gross, filter it out. This probiotic drink is a living thing, so its flavor, amount of bubbles, and how long it tastes good differs between batches. Even if you buy it only from one producer, the kombucha you get will be slightly different every time. Store kombucha refrigerated at all times unless the label says otherwise. If it doesn’t show any signs of spoilage, it’s most likely okay to drink, even if it’s a couple of months after the date on the label. [GTS] GTS Living Food: What Is Kombucha? Finding that rogue can of Coca-Cola or Pepsi in the pantry during spring cleaning isn’t anything unexpected. Especially if you and your family don’t fancy soft drinks that much. And as it turns out, that tin is a few months past the date on the label. So the question you’re asking yourself is: what should you do with it? Should you discard the fizzy drink regardless, or maybe it can still be okay? Can soda go bad? 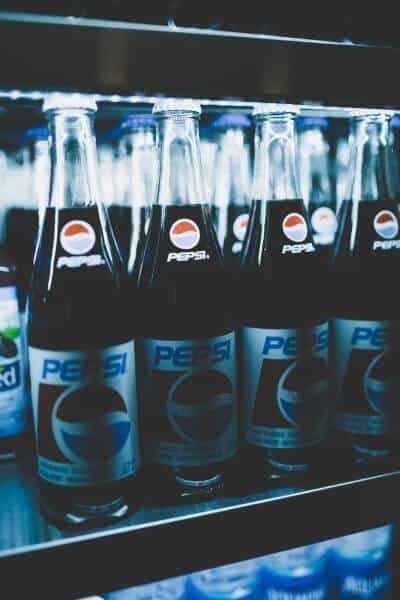 Soft drinks are known for their long shelf life, so having one that’s past its date isn’t something that happens that often. Or is discussed in detail by the producers. So let’s talk about it, as it’s obviously something you’re interested in. Can Soda Go Bad? How To Tell If Soft Drinks Are Bad? If you’re wondering if your favorite soda, no matter if it’s Mountain Dew, Mirinda, Dr Pepper, or anything else really, can go bad, the answer is it sure can. But as long as the bottle or tin stays unopened, and stored in decent conditions, it will last quite a while, even after it’s “expiration” date. So, how do you tell that your soda is off? The first symptom people often refer to is the lack of bubbles. If the soft drink has lost its fizz, it must’ve gone off, they say. Is that true? 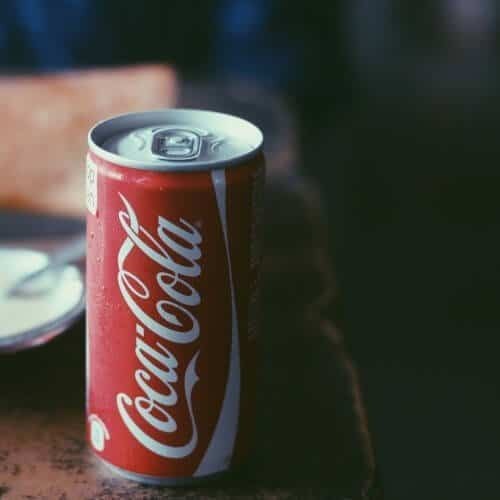 The best answer I can come up with is: loss of carbonation doesn’t always mean the soda has gone off, but it’s better to get rid of it if it happens. For example, if you’ve opened your can of 7 Up, and kept the leftovers in the fridge for a few days, the bubbles will be mostly gone. But in most cases, the liquid will be perfectly safe to consume. It definitely won’t taste as good as it used to, but it’s not like you’re going to get stomach pain or anything else after drinking it. Nevertheless, discarding a soft drink that has lost its carbonation is a good rule of thumb. And if your unopened soda went flat, definitely throw it out. The second way to spot soda that’s past its prime is to use your senses and trust what they’re telling you. So instead of opening that bottle and drinking from it straight up, pour that Coke in a glass and give it a few seconds to settle. Then give it a good whiff. Does it smell fresh and pretty much the same way it usually does? If it stinks or feels somehow stale, get rid of it. 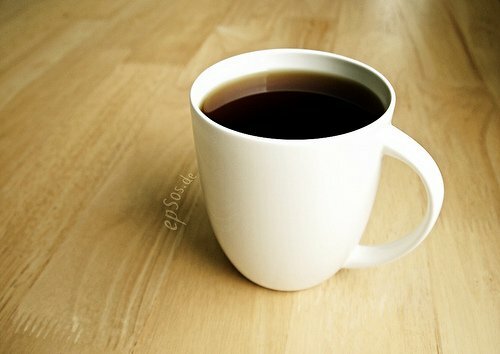 If the smell is okay, feel free to taste it, and decide based on its taste if it’s good enough to drink or not. And if that bottle has passed the date on the label, err on the side of caution, and discard it if you’re not sure it’s okay. Speaking of dates, let’s talk about the shelf life of soft drinks. How Long Does Soda Last? That bottle of Gatorade definitely comes with a best-by date on the label. The “best-by” label means that the product should be at peak quality up to that date. That definitely doesn’t mean that it will spoil a few days or weeks past that date. And in case of soft drinks, the carbonated and flavored liquid will likely stay in good quality for at least a few months past that date. Provided it remains unopened, and the bottle or tin is intact, of course. Once you open the soda, it’s best to finish it straight away if it’s in a tin. You can store opened bottles for a few days because they are easily sealable. In short, as long as you can seal the leftovers, they can last a couple of days without losing much of their quality and with some fizz. Last but not least, it’s time to talk about storage. 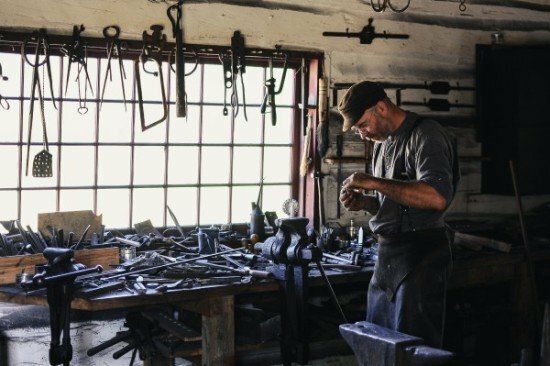 This section won’t be a huge surprise, but it includes a few tips that you hopefully find helpful. When it comes to unopened tins and bottles, you can keep them at room temperature. The pantry or a dark cabinet in the kitchen are both excellent choices. Just make sure they don’t sit near any heat sources, and that bottles don’t sit in the sunlight. 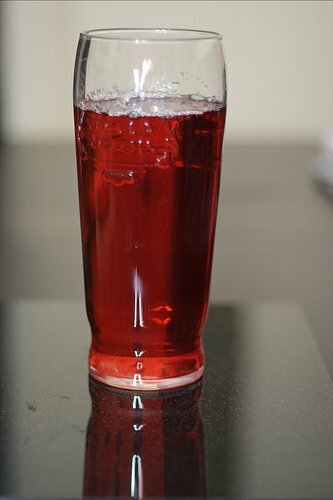 When you plan on serving or drinking the soda later, feel free to refrigerate it if you prefer it chilled. Once you open the drink, keep the leftovers refrigerated and sealed tightly. 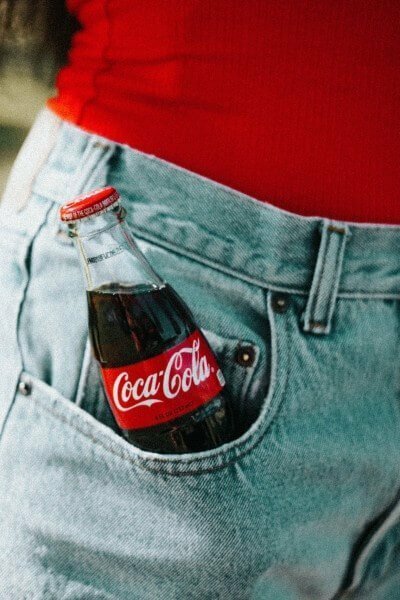 If you accidentally leave that opened (but sealed) bottle of Coke overnight, nothing bad should happen, but pay close attention to its quality and smell. If it’s a tin, and you won’t finish it the same day, pour the leftovers to a bottle. This way you will avoid losing all of its fizz quickly and protect the liquid from any microbial contamination. Or, if that’s not an option, use plastic wrap and a rubber band as a makeshift solution. It’s not ideal, but it’s definitely better than keeping an open tin in the fridge. Carbonated water, better known as tonic water, is often used to soothe an upset stomach or as a thirst-quencher. Since tonic water is carbonated, it is also used as a healthy substitute for sodas and soft drinks. But how different is the shelf life of carbonated water to regular bottled water? One might think that tonic water will keep forever like regular water but no, this product has a limited shelf life. And yes, it can go bad at some point especially if it’s been stored improperly! Tonic water has a long shelf life especially if the container is kept sealed and unopened during storage. However, the shelf life of tonic water will be shorter if the product has been opened. That being said, sealed bottles of tonic water are safe to drink well beyond their expiry date. As long as you’re not seeing any changes in flavor and color, the product should be safe to drink. How can you tell if tonic water is no longer safe to drink? Start by checking for minor or significant color changes. Tonic water is usually clear but if it has taken on a light yellow color, err to the side of caution and toss the product in the trash. If the tonic water has lost its flavor or has gone flat, do not consume the product. If the container has bulged or is misshapen in any way, the product may not be safe to drink anymore. Also, check the container for rust or leaks. Rusting and leaking will compromise the quality of the tonic water. If say, the tonic water has been kept in storage for years, discard the product. 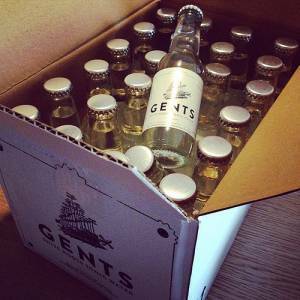 How to Store Tonic Water? Sealed and unopened bottles of tonic water can be kept in the pantry at room temperature while opened bottles of tonic water should be kept in the refrigerator. When storing tonic water at room temperature, keep it in a cool, dry place away from sunlight. 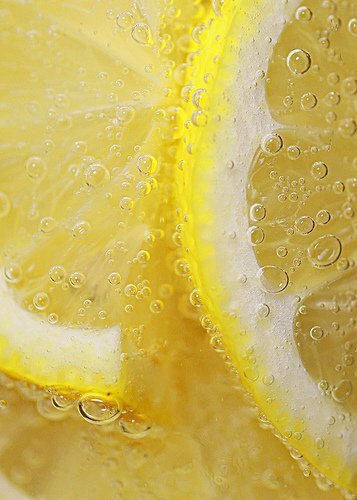 Heat sources and humidity could ruin the drink, causing the tonic water to lose its flavor and fizz. If you’re storing opened bottles of tonic water in the fridge, make sure to keep the lid closed after every use. This way, the drink will not lose its flavor or fizz. When kept in the pantry, unopened bottles of tonic water will keep fresh 9 months after the manufacturing date. Opened bottles of tonic water will keep fresh for 9 months after the manufacturing date in the fridge. Can You Freeze Tonic Water? Tonic water does not require freezing and this method could ruin the flavor of the product. Freezing the tonic water means decanting the drink in a freezer-safe container. This could compromise the quality of the product. The tonic water is likely to become flat once it has been thawed too. Our advice is to store opened bottles of tonic water in the fridge and to consume the product as soon as possible. Tonic water is a refreshing drink, a great substitute for plain water. However, it won’t keep forever! Just keep these storage tips in mind to maximize your supply and prevent wastage. Can soy milk go bad? Soy milk is a popular health drink that is high in lean protein. Since soy milk contains less cholesterol and hormones than cow’s milk, this product is often used as a milk substitute in vegetarian and vegan cooking. 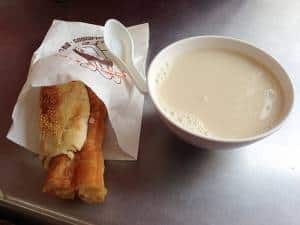 Soy milk has a creamy, delicious flavor too so it is also served as a drink and a milk substitute for shakes, smoothies, and other healthy beverages. While soy milk has a decent shelf life, it won’t keep forever. In fact, soy milk could be just as sensitive to storage conditions as regular milk. If you are not careful, there is a good chance that your supply will go rancid. This goes especially if you left the soy milk sitting at room temperature for a while. Yes, soy milk can go bad because it is sensitive to temperature changes. Soy milk is may not spoil similarly to cow’s milk but the manner in which the product is stored could affect its longevity. Sealed, unopened packs of soy milk will keep much longer than opened bottles of soy milk. Do note that soy milk is prone to mold growth. This is the reason why the product should be sealed at all times. How the soy milk was processed affects its shelf life too. Shelf stable soy milk will keep much longer at room temperature. Sealed soy milk doesn’t require refrigeration at all. On the other hand, chilled soy milk or soy milk that’s been sold refrigerated has to be kept chilled to extend its shelf life. Never drink straight from the carton to prevent contamination. It is easy to see if say milk is no longer safe to use. Just check if the product emits an off-smell. Fresh soy milk has a mild, milky smell. Significant color changes are a sign that soy milk has gone bad. If the container becomes bloated for some reason, the product is no longer safe to drink. Finally, check for lumps or curds. 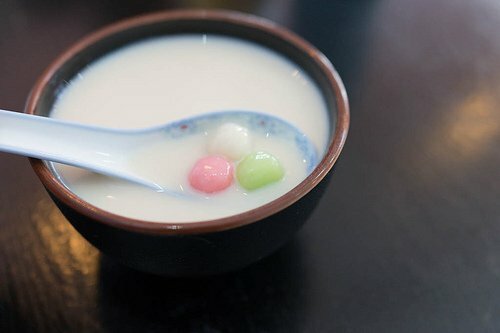 If the product started clumping, take it as a sign that the soy milk has gone bad. How to Store Soy Milk? For shelf-stable soy milk, store the product in the pantry at room temperature. Keep the product in a cool, dark place, away from direct sunlight. Shelf stable soy milk is quite sensitive to rising temperature so keep it away from sources of heat. Chilled soy milk or soy milk that’s been refrigerated prior to purchasing should be kept in the fridge. The same thing goes for soy milk that’s nearing its expiry date. The chilly temperature will slow down the degradation of the ingredients. Chilled soy milk won’t do well when stored at room temperature. The sharp changes in temperature could accelerate spoilage. When kept in the pantry, sealed packs of shelf-stable soy milk will keep for 3 to 4 weeks. On the other hand, chilled soy milk will keep for 7 to 10 days in the fridge. The shelf life of soy milk will be much shorter if you drink straight from the carton, about a few days. While freezing is not a recommended storage option, you can freeze the soy milk for later use. Just transfer the product in a freezer-safe container and stick it in the freezer. Ideally, you want to divide the product into manageable portions so you don’t have to thaw the whole container when you only need a small amount of the product. Soy milk can be prepared in many ways so it pays to have a couple of packs in storage. You never know when you need soy milk! Can soy milk go bad? Yes, soy milk could go bad at some point but as long as you stored the product properly, there is no need to worry about spoilage at all! Almost everyone has a few unopened bottles of wine sitting in the pantry or in the far back corner of a cabinet in the kitchen. 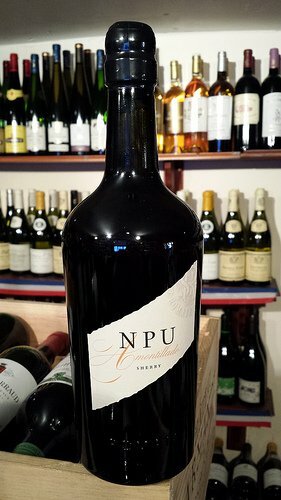 We receive wine on various occasions, so if you’re not a wine lover, the bottles usually sit around for months or even years at a time. Same thing with sherry wine. And at a certain point, maybe during the spring cleaning, you go through those bottles only to notice that some of them are near or even past the date on the label. Can sherry go bad? Or perhaps you’re using sherry mostly for cooking, and a typical bottle sits opened in your fridge for a few weeks at a time. But now you temporarily decided to cut back on the dishes that call for sherry. So you’re wondering if there are better ways of preserving it than keeping it closed in the fridge. In other words, you’re thinking about freezing it, but you’re not quite sure if that will work out of not. In short, if you have either an unopened or opened bottle of sherry you’re not quite sure what to do about, this article is for you. I won’t give you any recipes, as you can find these easily, but I will cover storage methods and going bad. So after reading this, you should know what’s the best course of action for your sherry. If that sounds interesting, read on. Can Sherry Go Bad? How Long Does Sherry Last? Sherry is a fortified wine ([WIKI]), which pretty much means it’s a wine with additional alcohol added. And you know they say that wine gets better with age. Well, that’s a myth, mostly ([WS]). Unless the wine is made specifically for aging, it’s better fresh than after sitting in the pantry for a couple of years. And so is your bottle of Harveys Bristol Cream Sherry or any other relatively inexpensive sherry out there. So if you bought the sherry in the supermarket, it won’t get better over time. That doesn’t mean the wine is of poor quality, that’s just how things work. Okay, so we’ve established that in almost all cases your sherry won’t age that well. But that doesn’t mean it will go bad quickly. The general rule is that the flavor of the sherry will gradually change and fade. Thus a fresh sherry should be close to perfect, and over time it’s slowly getting somewhat worse. How long does it take until sherry tastes bad or stale? Well, that depends on the type of sherry you’ve got. Some types of sherry, such as Fino and Manzanilla, are aged in barrels in a different way than others ([SN]). And that makes them more unstable. In short, these types are best if you drink them fresh, ideally when you get home with the bottle. And don’t let an opened bottle sit in the fridge for more than a few days, because the flavor will change. Of course, it won’t go bad if you store it for a few months in the pantry before enjoying it, but the taste definitely won’t be optimal. Other types are much more stable, and you can easily store them unopened even for a few years. And once you open the bottle, there’s no hurry. Fortified wine typically retains flavor much better than wine, so you don’t need to rush the bottle. It can sit in the fridge for a month or two, or sometimes even longer ([SN]). When in doubt, observe the best-by or best-before date on the label. It should be a reasonably good indicator of whether that sherry is one of the long lasting ones or not. But even if it’s way past that date, it still makes sense to open the bottle and check out its contents. Chances are the sherry will still be usable, even if for cooking only. Okay, let’s get back to the main question of whether sherry can go bad or not. Well, if you store it well, it won’t spoil in a way that drinking it is unsafe. But if it sits around for too long, its taste will flatten and become somewhat stale. And if that happens, it’s time to discard the bottle. 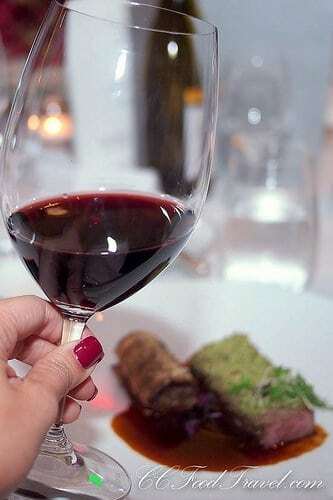 Let your nose and taste buds be your guide when it comes to quality. If the sherry is still good enough, feel free to enjoy it. How To Store Sherry? Do You Have To Refrigerate Sherry After Opening? Storage of sherry is quite similar to the storage of any other wine. What an unopened bottle of sherry needs is a cool and dark place, with a relatively stable temperature ([SN]). And the bottle should stand upright. In such conditions, the alcoholic beverage should last quite a long time in okay quality. Unless, of course, it’s one of the unstable varieties. Once you open the bottle, the most important thing to do is to keep it sealed tightly. Use the original cork or a wine stopper if the cork doesn’t fit. Or any other thing to keep the bottle closed, including pouring the sherry into another container that you can seal. Now to whether or not you have to refrigerate sherry upon opening. Well, technically you don’t ([SN]). But while a cool pantry with stable temperature is good enough for storage, it definitely isn’t ideal. The fridge is a much better choice, especially for the volatile varieties. If you decide to keep the sherry at room temperature, try to finish the opened bottle within a week or two for the best experience. If you expect to store it for an extended period, the refrigerator is a much better choice. But what if you drink or use sherry only occasionally, and have an open bottle that you don’t expect to finish anytime soon? The only solution to that is freezing the leftover sherry, but it comes with its own caveats. Before we talk about whether freezing sherry makes sense or not, let’s first make sure that’s even possible in a typical freezer. As you probably know, alcohol has a much lower freezing temperature than water. Thus the more alcohol in the solution, the lower the temperature that’s needed to freeze it. Since sherry usually contains between 15 and 20 percent of alcohol (by volume), it requires a temperature of 15°F (or -9°C) ([GC]) or lower to freeze. Because of that, if your freezer is set to the recommended temperature of 0°F (-18°C) ([FDA]), freezing this alcohol shouldn’t be an issue. Now it’s time to consider if freezing sherry actually makes sense or not. First and foremost, alcohols generally don’t benefit from freezing. On the contrary, freezing slightly changes the taste, and people tend to find the frozen and thawed alcoholic beverages somewhat off. Sherry is no different in that regard. So if you want to freeze sherry to drink it later, it’s not the best idea out there. But if you know your way around a kitchen, you might be using wine, or even sherry specifically, for cooking. And if that’s the case, then freezing sherry is definitely an option. It won’t be as good as “fresh” sherry but should work just fine in a cooked recipe. When it comes to how to freeze the alcohol, using an ice cube tray is the way to go. Pour the liquid in the tray, and freeze. Once cubes are frozen, transfer them into a freezer bag. Now you have a bunch of sherry cubes than you can easily scoop whenever needed. Thaw the cubes either in the fridge or by tossing it right into whatever you’re cooking. [WS] Winestyr: Is Older Wine Better Wine? 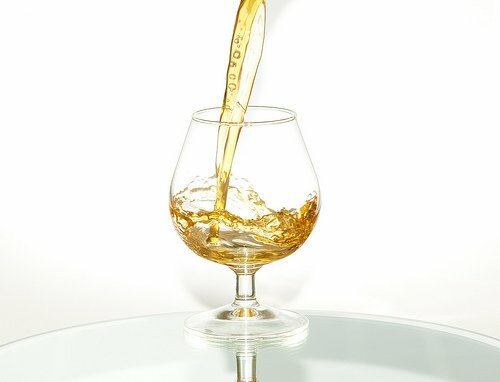 [SN] Sherry Notes: How long can you store / drink a bottle of sherry? [FDA] FDS: Are You Storing Food Safely? With electrolytes and quick burning carbohydrates, Gatorade and other sports drinks have become pretty standard hydration for workouts. Of course, if you buy too much on sale, the question always arises: can Gatorade go bad? How long should you store those bottles of sports drink, or even the powdered mix? Like many flavored beverages, Gatorade (and other sports drinks) can go bad. Unopened sports drinks can stay shelf stable for up to nine months past the written expiration date. Once the bottle has been opened, the shelf life reduces to about five days in the refrigerator. The dry powder that can be mixed with water to make gatorade can also go bad, after enough time passes. If the container is unopened, its shelf life is about two years past the written expiration date. Once opened, the product will begin to degrade in quality, and should be consumed within six months. Like an open bottle of Gatorade, once the powder has been combined with water to make a drink, the beverage should be stored in a sealed container in the refrigerator, and should be consumed within five days. Bottles of gatorade that have been opened will begin to spoil after a few days, though visual signs might not be that obvious. Changes in color and texture are the main indicators. You may notice the drink begins to darken, form clumps, or form a crust near the opening of the bottle. The taste and smell will also change, becoming less flavorful and a bit sour. Additionally, any sour or off-putting smell is an indication that the drink has gone bad and should not be consumed. Should you notice any mold growing in the bottle, the drink should not be consumed. Once a container of powdered Gatorade has been opened, the quality will begin to decline fairly rapidly, depending on conditions. Though this degradation won’t necessarily lead to an unsafe product, the taste and texture can be significantly different. Gatorade can clump because of exposure to moisture. Some clumping is likely fine, but once the powder has formed a solid mass, the Gatorade should not be consumed. Should you open the container of Gatorade powder to find any sign of insects, or mold (though it is highly unlikely that powdered Gatorade will grow mold), the drink mix should be discarded. Bottled Gatorade, and other sports drinks, should be stored in a cool, dark place away from moisture or heat. The best place to store unopened bottles of gatorade is actually your pantry, or cellar. Storing unopened bottles of Gatorade in the refrigerator will not dramatically increase their shelf life. Similarly, freezing bottled Gatorade will not really increase the shelf life, and the process of freezing could burst the bottle. Once the bottle has been opened, it should be kept in the refrigerator. Powdered Gatorade that has not been opened can also be stored in a cool, dark place away from light, heat or moisture. Once the container has been opened, the moisture in the air will start to degrade the product. While the plastic container has a lid to keep out insects, the moisture in the air can still seep inside. To extend the shelf life of powdered Gatorade, you could transfer the powder to an airtight container, like a glass jar. Oxygen absorbers or food grade desiccant packets will help to keep the drink powder from clumping up. Heavy duty zip top freezer bags with an oxygen absorber will also help to keep the powder fresh, and can come in handy on long camping trips!